“Revealing Results on Wind” in the Greenfield Recorder (7/31/13 ) was Professor Wayne Klug’s analysis of the report issued by the Macalester Institute on the “Western Massachusetts Wind Energy Symposium” workshop held July 26, 2012. It was part of a series, Wind Energy – Visual Impacts and Public Perceptions, funded by a National Science Foundation grant. Although the symposium was held last summer, polling results were released only this year. Curiously, the event itself received considerable press attention, but the findings did not. I offer this column as a partial remedy. The most noteworthy findings concerned “best practices” where 96 percent supported local control over siting of industrial-scale wind projects (those supplying the grid), and 63 percent supported an “outright ban” in their own towns — or anywhere in the region. Surprisingly, the same number agreed that approval of such projects should require the unanimous consent of all landowners within a 3-mile radius. 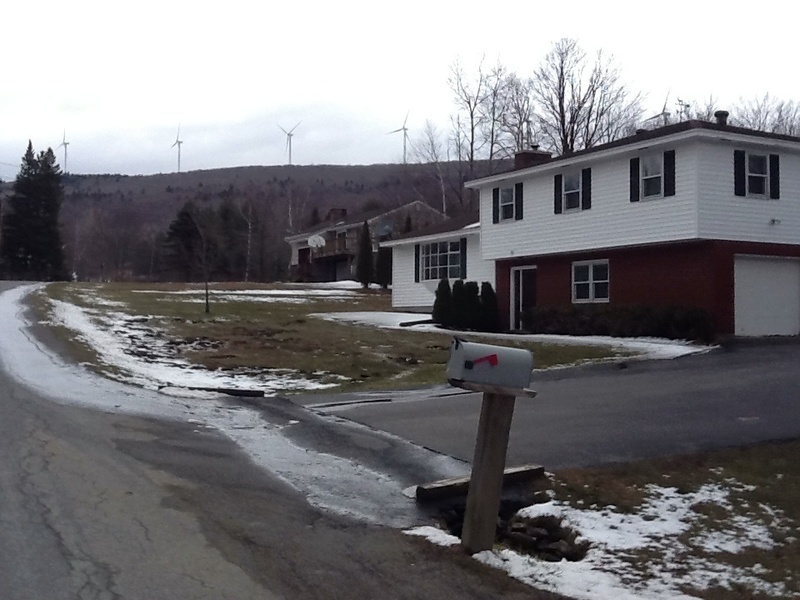 “The event was held to measure public opinion in the hilltowns of western Massachusetts on the question of industrial-scale wind energy,” according to Klug, who participated as one of 24 randomly-selected residents from Berkshire and Franklin counties. The day-long symposium at the Massachusetts College of Liberal Arts in North Adams was organized by researchers from Macalester College and conducted by staff from the Consensus Building Institute in Cambridge. The project focused on visual aesthetics. The Macalester website shows the other workshops in the series–Laramie WY, “Wind Energy and Scenic Considerations in Wyoming” (6/17/09); Manistee MI, “Michigan Wind Energy Landscape Symposium” (7/6/11); and Moorhead, MN, “Minnesota Wind Energy Landscape Symposium” (11/10/11). Environmental groups like the Sierra Club have been duped by the wind industry into believing that wind turbines are a major contributor to the reduction of greenhouse gas, and will someday replace the use of fossil fuel. None of these claims is true. None! They are not environmentally friendly. They do not reduce greenhouse gases. In addition to being very expensive, they are an add-on to our system for providing eclectic power. They are a net job loser. They kill birds and bats. The annoyance and ill effects they cause is for nothing in return. By the year 2030 the Green Communities Act (GCA) will force National Grid and NSTAR to buy the wind energy from as many as 25 wind farms the size of Cape Wind. Initially we were told Cape Wind will save money. Now we are told that the increase will be small. Adding 25, 2.5 billion dollar, wind farms is not going to be a small addition, and the cost increase will not be small. In addition, billions will be needed to increase grid capacity with additional transmission lines to connect all these wind farms to the grid and avoid curtailment. It’s time for everyone to realize that we need to STOP!